Welcome to Accurate Transcriptions LLC. Vazrick Mansourian, M.D., P.C., F.A.C.S. Tushar R. Modi M.D.,F.A.C.P.Internal Medicine. We cater to a broad range of clientele and specialties including solo practitioners, group and health care facilities. "Accurate service has been exemplary, from ease of operation of dial up system to the accuracy of your transcriptions. The timeliness of your edit (Hundreds per month), has been a great assistance to the admission and discharge process of my Care Management and Nursing departments. All this service, for a more cost effective price then we are paying our former service, seems strange but true." All to often in the health Care industry companies fall short of expectations or what was promised, at times difficulties occur during implementation, or after the fact, and resolution can be a slow process. Well, it is with great pleasure that I write this letter of testimonial to your company for it's ability to avoid those downfalls indicated above. None of the above referenced problems occurred during the transition to your company 9 months ago. During the last Medical Staff meeting I asked for comments about your service and received only very positive feed back. With all of the attending physicians using the service and hundreds of my patients effected that feedback speaks highly of your company's commitment. It is disservice that more facilities do not offer this service to their patient's physicians, and if you need any help in encouraging them to do so please feel free to have them contact me. I look forward to continuing our business relationship. I have been working with Accurate Transcriptions for over four months now and at this point in time, I can say that the performance with regards to transcription service has been excellent. Their attention to detail together with their responsiveness to problems that may occur with the specific areas of transcription that are required with regards medical transcription have been addressed promptly and efficiently. The transcriptions have been well formatted and have been prompt. I would strongly recommend this service. 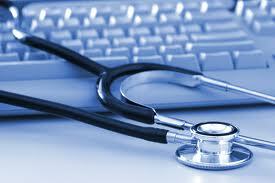 Accurate Transcriptions has been a reliable and efficient service. The convenience and promptness of the transcription is a big improvement over our former service and the personnel are professional and helpful. I would recommend this service without reservation. I am writing this letter as a recommendation for Accurate Transcriptions. We have been using Accurate Transcriptions for our transcription service for the last several months in our practice. We have found them to be excellent and extremely reliable. Their turnaround time is absolutely superb. They have been very user-friendly and very prompt in addressing any small concerns we have had since we started working with them. I have no hesitation in strongly recommending them. We have found them to be cost-effective and have saved over 50% on our transcription costs since we started using them. I am an internist in practice with my wife in Modesto, Northern California and I have been using Accurate Transcription for our transcription needs for the last two years. They do a very thorough and accurate job on each and every transcription with no mistakes and we have been very pleased with the turn around time and their service. I have been using Accurate Transcriptions for all my office dictations. I have found their service to be outstanding. The transcriptions are accurate and have always been available within 24 hours. I have had no difficulties whatsoever in accuracies or access. It has been a remarkable upgrade from our previous experience with other transcription services. I would recommend Accurate Transcriptions Services without reservation.